A look at China’s position on the case — and how it could respond if the tribunal rules in the Philippines’ favor. On December 7, 2014, China’s Foreign Ministry was authorized to release the “Position Paper of the Government of the People’s Republic of China on the Matter of Jurisdiction in the South China Sea Arbitration Initiated by the Republic of the Philippines.” Various explanations have been offered for this by media outlets both in China and abroad, and the issue is of renewed importance today. The Permanent Court of Arbitration in The Hague finished hearing the Philippines’ oral arguments this week, but as China refuses to participate in the arbitration, the December position paper remains the clearest outline of China’s stance on the case. What are the highlights and features of the document? What was the effect of publicly releasing this document? And what will China’s next step be? As everyone who is following the South China Sea issue knows, the Philippines submitted a “memorial” of ten volumes and nearly 4,000 pages to the International Tribunal on the Law of the Sea. Within that memorial, the first volume was the most important – 270 pages including the Philippines’ legal analysis and relevant evidence relating to this case, explaining in detail why the arbitral tribunal has the jurisdiction to accept the Philippines’ request for arbitration. Volumes two through ten were appendixes, including archival data, evidence, and maps supporting the Philippines’ position. According to the tribunal’s process, China had to present its counter-memorial by December 15, 2014. But on March 31, 2014, a spokesperson for China’s Foreign Ministry clearly expressed that China does not accept and will not participate in the arbitration. The act of releasing the position paper on the eve of the December deadline was effective in two ways: it both expounded on why the tribunal does not have jurisdiction over this case and reiterated China’s position of not participating in the case. So does this mean there has been a chance in China’s South China Sea policy, from the earlier, softer stance of “dual-track approach” to the clear position expressed in the position paper? If not, how to explain the relationship between these two? In August 2014, Chinese Foreign Minister Wang Yi put forth the “dual track approach,” sending the message that China agreed to handle the South China Sea disputes under a multilateral framework. ASEAN as a whole could play a suitable role in the disputes, but China opposed interference from countries outside the region, especially mediation that favors one side over the other. From this we can see that, in light of the internationalization of the South China Sea disputes, China was no longer opposing any type of internationalization, but instead favoring limited (or relatively controllable) regionalization of the issue in order to prevent unlimited (and uncontrollable) globalization. On November 13, 2014 in Naypyidaw, Premier Li Keqiang gave another speech on the South China Sea issue, formally clarifying China’s stance: using a “dual track approach” to handle the South China Sea disputes. China’s stance on a South China Sea Code of Conduct also changed, from emphasizing “rational expectations” to talking of a “speeding up” the process if a “unanimous agreement” was reached. These two speeches displayed the diplomatic flexibility of the current Chinese administration. This stance was also related to China’s “One Belt, One Road” — the goal is to defuse the South China Sea disputes, which are a major weak point in China-ASEAN relations, or at least to prevent the disputes from attacking a new wave of cooperation between China and ASEAN. China agreed to “necessary multilateralism” and “appropriate regionalization,” but a great power’s diplomacy can’t be all soft-sided. Often, great power diplomacy mixes hard and soft tactics. China’s “hard” side was demonstrated in China’s 2014 attempts to take the initiative in controlling and strengthening its presence in the area. Construction in the Paracels and Spratlys and the HY-981 oil rig incident are examples of this. The public release of China’s position paper also expressed China’s tough stance on the bottom line. The paper sought to make three points: the South China Sea disputes must be solved though political dialogue; China will not accept any ruling from international arbitration; and China’s action in this regard have a strong legal basis. December 2014 was the first time the Chinese government issued a detailed position paper on the South China Sea issue, so it was seen almost as a “white paper” on the South China Sea by some media outlets. The document contained six sections and 93 articles. After the introduction, the paper uses three sections to prove in detail that the Philippines’ move to arbitration is illegal and unreasonable, and that arbitration has already been ruled out. Taking each of these points in turn, the arbitration is illegal because it violates the “Declaration of Conduct on the South China Sea;” moreover, the essence of its arbitration case concerns the question of sovereignty over some islands and reefs in the South China Sea and thus the UN Convention on the Law of the Sea is not applicable and cannot resolve the case. It is unreasonable because it violates a bilateral agreement between China and the Philippines not to unilaterally request arbitration when there are still other effective channels to explore. The Philippines knew that China would not accept the ruling of an international arbitral tribunal, but still chose this unfriendly action. 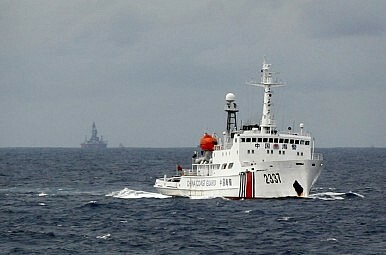 As for arbitration being ruled out, in 2006 China, in accordance with UNCLOS regulations, declared that it will not accept compulsory arbitration procedures either to delimit maritime boundaries or to resolve disputes. After these three sections, there is another section describing China’s right to choose not to participate in arbitration, which is in accordance with international law. The paper ends with a conclusion: the arbitral tribunal does not have jurisdiction over this matter; the correct way to resolve disputes is through consultation and negotiation; China will not change its established position or policies because of this arbitration. One distinguishing characteristic of this position is that, in addition to using political documents and historical facts, it also references precedents in international law and the research of some international legal scholars. This is a political document with a heavy scholarly flavor, meticulously prepared by the Chinese government. The government positions contained within embody (but are not limited to) the most recent achievements of China’s scholars of international politics and law. The document points out that China has already resolved land border disputes with 12 of its 14 neighbors, delimiting and demarcating over 90 percent of its total land borders. At the same time, China has delimited its maritime boundary with Vietnam in the Gulf of Tonkin; signed separate fishing agreements with the Republic of Korea and Japan; and signed an agreement on the cooperative development of maritime oil resources with the Democratic People’s Republic of Korea. All of those results were reached through negotiations. This is a clear signal to the Philippines. The document falls short in two places, however. First, China believes that the arbitration case brought by the Philippines in essence touches on the question of sovereignty over features in the South China Sea, and thus that the tribunal does not have jurisdiction. But the Philippines believes that its case only asks for arbitration on the matter of whether or not China’s assertion of maritime rights is in accordance with UNCLOS, a questions where the tribunal does has jurisdiction. Facing such a disagreement, a third party might conclude that the case falls under the scope of the tribunal’s duties, unless China can bring overwhelming evidence to the contrary. China’s stance on the core issue of the arbitration is a subjective judgment, so its legal effectiveness is limited. Also, according to the practice of China’s own domestic law, the right to decide jurisdiction belongs to the courts, and not to either party of a lawsuit. Second, the paper did not clarify the “nine-dash line.” That the meaning of “nine-dash line” should be clarified is almost universally acknowledged by countries other than China, and doing so would almost certainly make a favorable impression on the tribunal. Although China decided not to participate in the arbitration, it could still use this as an appropriate time to put forth an authoritative explanation of its “nine-dash line,” thereby assuaging the doubts of the outside world. This is an excellent opportunity for China to implement its emphasis on “amity, sincerity, mutual benefit, and inclusiveness” and its “good neighbor” policy. By publicly releasing its position paper in December 2014, China hoped to accomplish at least two things: influencing the tribunal’s decision on the question of jurisdiction and influencing the Philippines’ subsequent actions. The official position of a country – especially a large country – will doubtless influence the tribunal, even if only psychologically. In fact, the oral hearing on the question of jurisdiction that took place this week was called in response to China’s arguments in the position paper. But the judges on the arbitral tribunal consist of the highest legal experts of each country, and they highly value their judicial independence. Because of this, China’s position paper cannot strongly influence their judgments on the question of jurisdiction or on the case itself. The Chinese government looks at the arbitration case as part of the overall China-Philippines relationship. China’s viewpoint is quite clear: trying to handle the South China Sea dispute by completely “internationalizing” it is not helpful for dispute resolution and can only harm the bilateral relationship. It will do more harm than good for the Philippines. To China, returning to peaceful negotiations under the China-ASEAN framework is the only path toward resolving the disputes in a “win-win” manner. Now that the Philippines has brought a case, it must end the suit. But this is unlikely to happen, at least not before Aquino’s term is up in 2016. Because of this, the position paper’s effectiveness in this regard is limited. This week, the tribunal heard the Philippines’ oral arguments on the case, meaning a decision will arrive by the end of 2015 at the soonest. If the tribunal decides it doesn’t have jurisdiction, or rules against the Philippines, then the case ends there. For China, that’s the desired result. The problem is, what if the decision goes against China? China must research a contingency plan. First, a decision that the “nine-dash line” is invalid. If that happens, the ASEAN claimants might abandon their remaining caution and rush to carry out large-scale oil drilling within the “nine-dash line,” possibly enlisting cooperation from many international oil companies and thus involving many countries. In that case, what should China do? Giving up all cooperation with international oil companies is obviously not practical, but could China ­­restrict their operations within China? Many of them have only limited operations inside China, so that wouldn’t be very effective. Second, the tribunal could decide that the Philippines’ rights within its exclusive economic zone and continental shelf are in accordance with UNCLOS. In that case, how should China adjust its current measures? China could refuse to accept the tribunal’s ruling and stubbornly continue according to its own enforcement practices; no one has the ability to stop China. But if a conflict arises between China and ASEAN claimants (something that is difficult to avoid and could happen at any time), Western and ASEAN media outlets will accuse China of being a hegemon, of not respecting international law, and of driving ASEAN claimant states to rely on the United States for security guarantees. This is obviously not beneficial for China’s vision of Asian security or for the Belt and Road initiative. Third, the tribunal could decide that some actions by Chinese fishermen near Scarborough Shoal (Huangyan Island) and Second Thomas Shoal (Ren’ai Reef) – such as catching endangered species like giant clams – violates China’s responsibilities under international maritime environmental protection conventions. In that case, how will China stop such actions by its fishermen, especially when restrictions would impact the thousands who depend on fishing for their livelihood? Based on the example of the Gulf of Tonkin agreement, China may have no choice but to make fishermen abandon their boats and find new professions. In that case, it would be better for China to take the initiative and start now, which will be more effective than waiting until Beijing is forced to act by an unfavorable ruling. Dr. Xue Li is Director of Department of International Strategy at the Institute of World Economics and Politics, Chinese Academy of Social Sciences. The long-awaited Tribunal’s merits ruling will come soon. What happens then?